With our versatile range of services, ARA Building Services continues to establish its position as one of the leaders in the building services industry in Australia. Our team consists of a diverse range of specialists under each capability, offering extensive industry knowledge and experience. Working closely with in-house professionals across various disciplines, our team is able to provide reliable services backed by relevant expertise in different fields of building services. 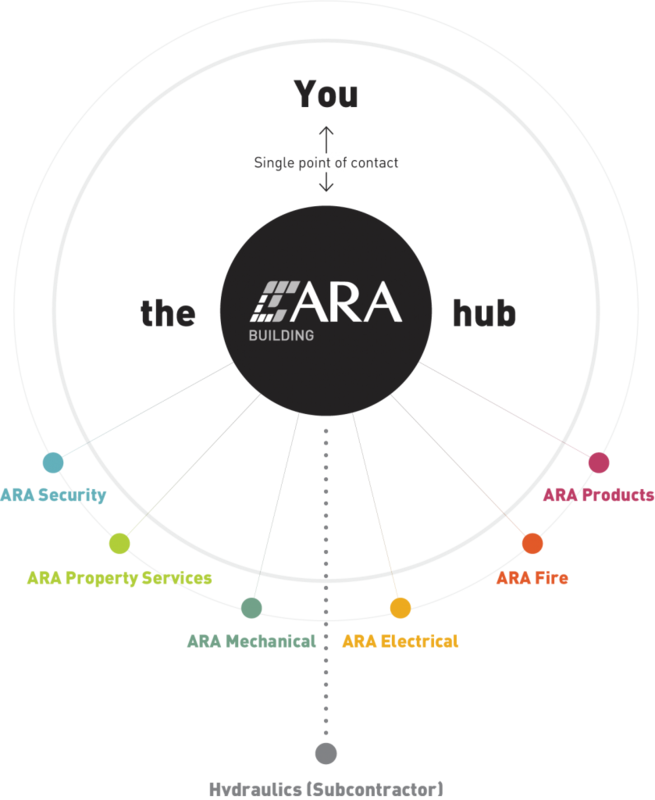 ARA Building Services is part of the ARA Group, offering complete facility services across Australia and New Zealand. For projects requiring multiple disciplines, ARA Building Services has the capability to offer all facility services in-house and provide a seamless solution tailored to meet the requirements of each client.